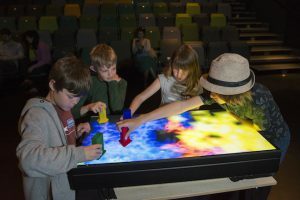 For over five years, Oxford Brookes University has been taking their world-class, innovative research projects out into local communities in their popular, family-friendly OutBurst festival. Oxford Brookes University has a longstanding and creative partnership with local performing arts centre Pegasus theatre, which hosts the festival each year. OutBurst gives researchers, other staff, students and alumni the opportunity to showcase their research and expertise through stimulating art installations, performances, lectures, workshops and interactive exhibitions. These have included creating your own comic, using a simulator suit to better understand visual and mobility difficulties related to ageing, and inspirational lectures on topics such as how to save the lemurs of Madagascar. In 2016, Olympic gold-medallist rower and Oxford Brookes alumnus Ben Hunt-Davis talked about what it was like to compete at the Olympic Games and the pressures and rewards of performing on a world stage. 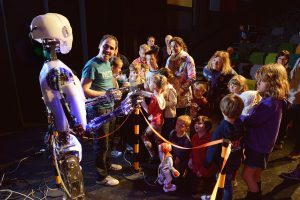 Robotics is a growing strength for Oxford Brookes and regulars at the OutBurst festival are the university’s resident robots, Artie the Humanoid and Robbie the Nao who are always a huge hit. Attendees get the opportunity to control Artie, make him sing songs and watch him enact extracts from famous movies. Robbie, who is a much smaller robot, walks, dances and tells jokes. OutBurst also offers opportunities for students to get exposure to the professional community. 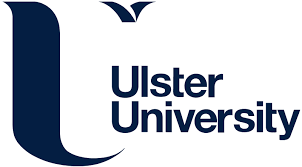 For example, creative writing MA students can show their work to literary agents, publishers and best-selling authors, including Phillip Pullman, who is a Creative Writing Fellow on the course.